Firmly on familiar territory this week as Elvis Costello has been a personal favourite for more than 20 years now, although there has certainly been more than one hiatus in my listening. He is, I find, one of those artists who swings in and out of focus, probably in response to different phases of one’s life. But on this occasion there was a specific trigger to renewed immersion in Costello’s extensive back catalogue – a repeat-viewing of the BBC’s excellent Mystery Dance documentary, first shown in 2013 as he prepared to release Wise Up Ghost, his fine, full-length collaboration with Questlove and The Roots. Carefully-made and comprehensive, the documentary highlights two facts about EC above all others – firstly, that his knowledge of, and love for, countless different genres of music is unrivalled among his peers; and secondly, that over more than 40 years as a recording artist he has accrued one of the most diverse catalogues in all of popular music. Of course, his name (well, his stage name – his real one being Declan Patrick MacManus) was initially built on a series of bracingly energetic albums with his band the Attractions. Shards of guitar, bursts of Farfisa organ, and expressions of venom and regret pretty much sums up that extraordinary early run – although in truth it was only the smallest taster for what was to follow. Unmooring himself from the Attractions (although there would be an ill-fated mid ‘90s reunion, and he continues to work regularly with two former Attractions, keyboardist Steve Nieve and drummer Pete Thomas), Costello began to explore country and Americana (as we now know it), soundtrack work, classical composition and more. By his own admission, it wasn’t all successful, either creatively or commercially, but he could never, ever be faulted for lack of ambition. 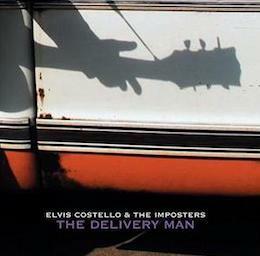 In recent years Costello has inclined more towards collaborations, but periodically he returns to solo recording or full albums with the Imposters (comprising Nieve, Thomas and bassist Davy Faragher). I seem to be slightly at odds with many of the Costello cognoscenti in tending to favour albums that are not generally regarded as key works. 1996’s All This Useless Beauty is a case in point; primarily featuring songs originally written for/with, and recorded by, other artists, I’d argue it’s one of his strongest ever collections. ‘The Other End of the Telescope’, ‘Distorted Angel’ and ‘I Want to Vanish’ are some of his most melodically captivating, yet still strangely enigmatic songs in a career that has been full of them. It’s also one of his most beautiful-sounding albums, surely in no small part thanks to the involvement of Geoff Emerick – the genius engineer who was at the desk for some of The Beatles’ landmark albums, including Revolver and Sgt. Pepper’s Lonely Hearts Club Band. Released in 2004, The Delivery Man has also been somewhat overlooked, although it's a favourite of Tom Waits', so who knows, it’s time may still come. Recorded with the Imposters, it indicates a renewed emphasis on Americana, as evinced by the vocal contributions of Emmylou Harris and Lucinda Williams. There are some delicate moments, especially ‘Nothing Clings Like Ivy’ and the gorgeous closer ‘The Scarlet Tide’, co-written with T-Bone Burnette and previously featured in the film Cold Mountain, where it was sung by Alison Krauss with her customary exquisite attention to detail and feeling (…has she ever done a bad vocal, one wonders?). But above all, The Delivery Man is a rollicking band album, its basic tracks seemingly recorded live and at some considerable volume by co-producer Dennis Herring at Sweet Tea Studio in Oxford, Mississippi. Blistering opener ‘Button My Lip’ sets the scene nicely, pairing a powerful Costello vocal with Nieve’s epic-sounding piano and high-impact drumming from Thomas. Similar moments of excitement are reached on ‘Monkey to Man’ and ‘Needle Time’, but the standout has to be ‘Bedlam’. Simply one of the most thrilling tracks in the entire Costello canon, it owes its relentless momentum to a peak-form Faragher and Thomas, whose astonishing fills in the last minute provide confirmation – not that it were needed – that he remains a rock drummer with few equals. Over the top, Nieve’s Farfisa and (yes!) theremin fizz and pop appealingly, whilst Costello’s guitar sounds nicely ragged and raw. It’s no surprise that it has gone to become a staple of the EC live repertoire, and has also been subject to some cracking re-arrangements, particularly this brass-enhanced take from the Montreal Jazz Festival. Whether or not Costello returns to the studio anytime soon, there is already an enormous back catalogue to explore, from early masterpieces like Imperial Bedroom, to his still breathtaking 1990 collaboration with the Brodsky Quartet, The Juliet Letters, and on to the elegant late ‘90s Burt Bacharach hook-up, Painted From Memory. But for sheer bravado, energy and enthusiasm, I’d wager that The Delivery Man is pretty much as good as it gets.